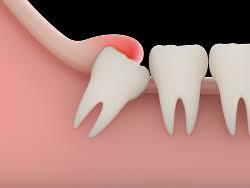 Wisdom tooth problems cause annoyance and inconvenience your daily life. Often people ignore these problems until they cause pain, infection or damage to adjacent teeth and structures. This eventually leads to more inconveniences to your daily work, study and/ or social commitments. WE DON’T WAIT HAVE TO WAIT UNTIL WISDOM TEETH GIVE YOU PAIN OR PROBLEMS!!! 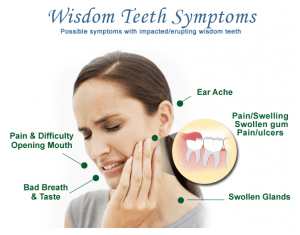 Our dentists are skilled in isolating existing wisdom teeth problems and predicting future problems so that you can make an informed decision of the management of your wisdom teeth. Our clinic is equipped with the appropriate extra-oral imaging modalities along with the specialized surgical motors to ensure removal of you wisdom teeth (if deemed necessary) are managed in an appropriate, comfortable and safe environment. Contact Us today to prevent PAIN at an affordable price!